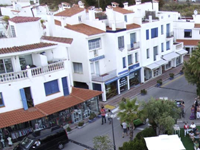 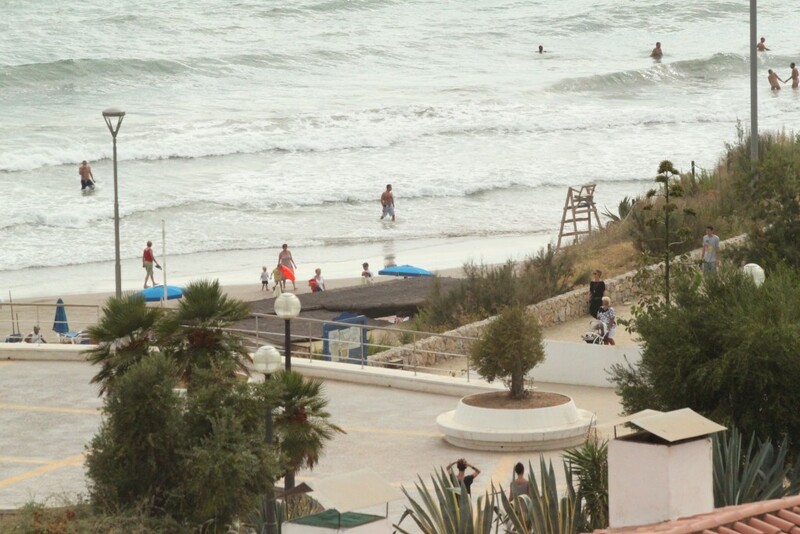 An area runs from Balmins beach back to Carrer D’Emerencià Roig i Raventos. 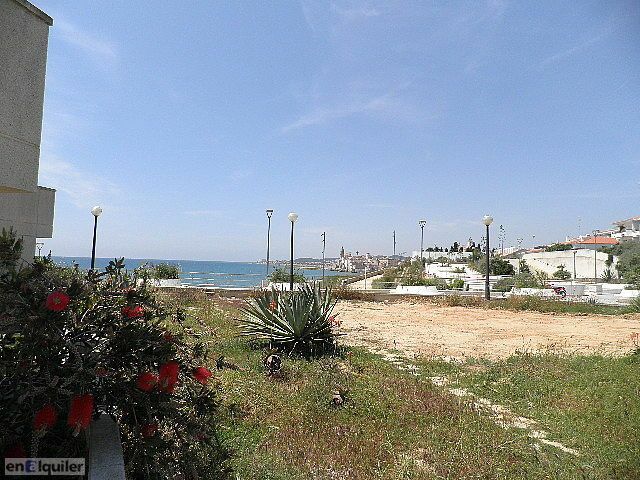 Next to the railway line. 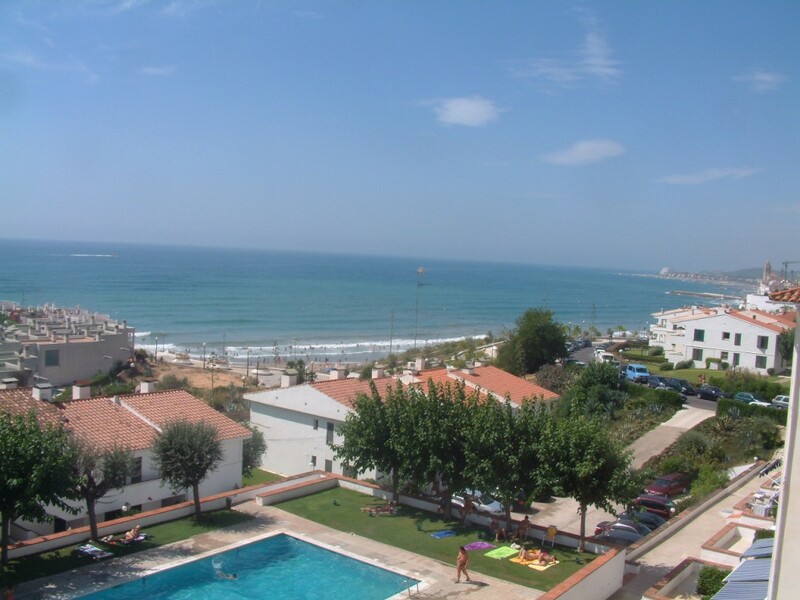 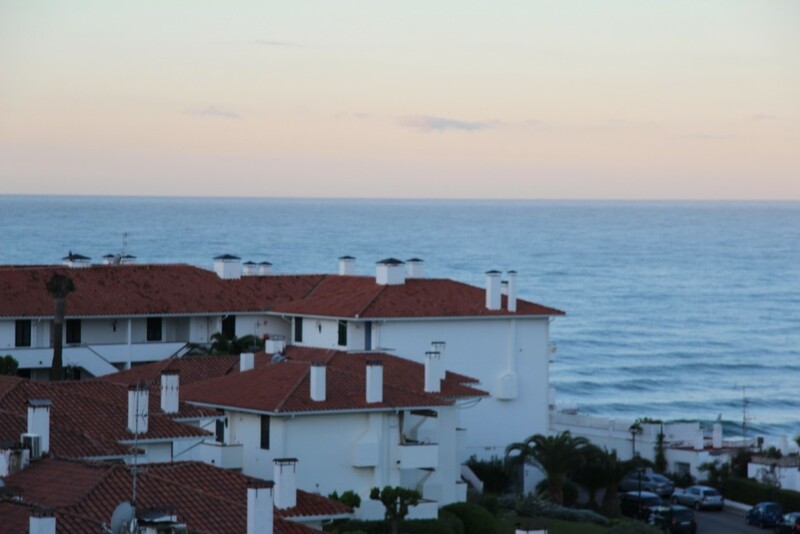 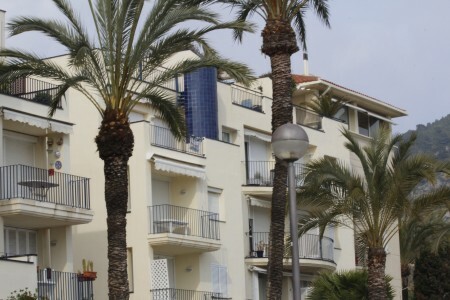 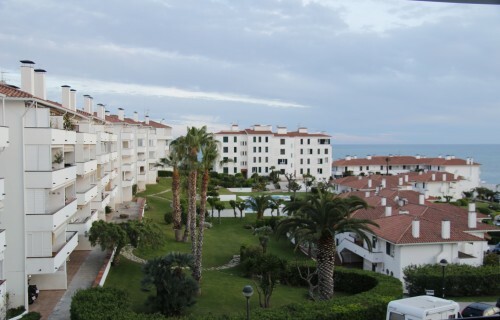 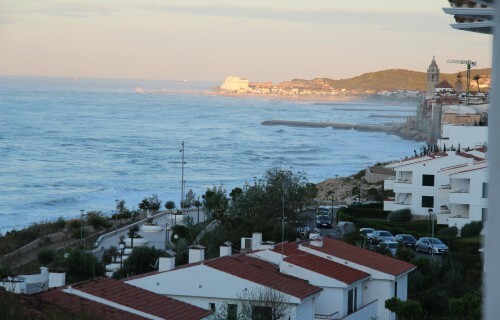 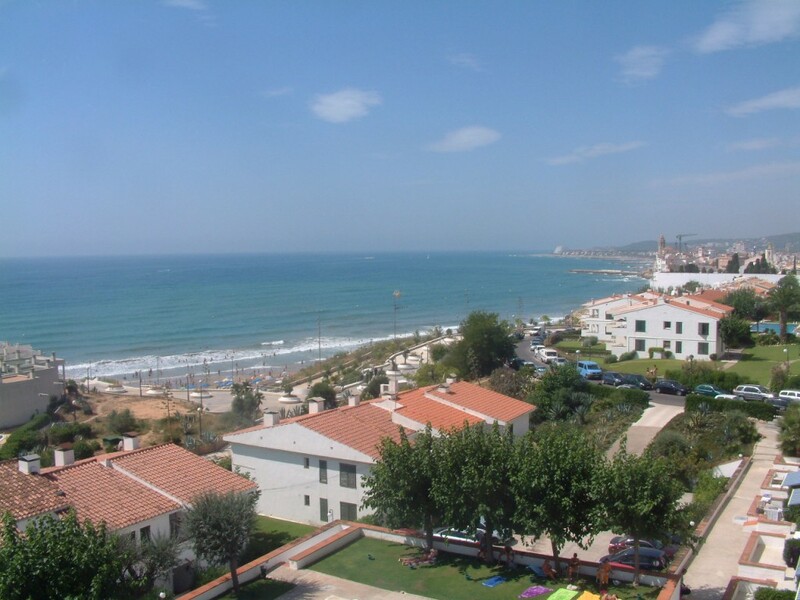 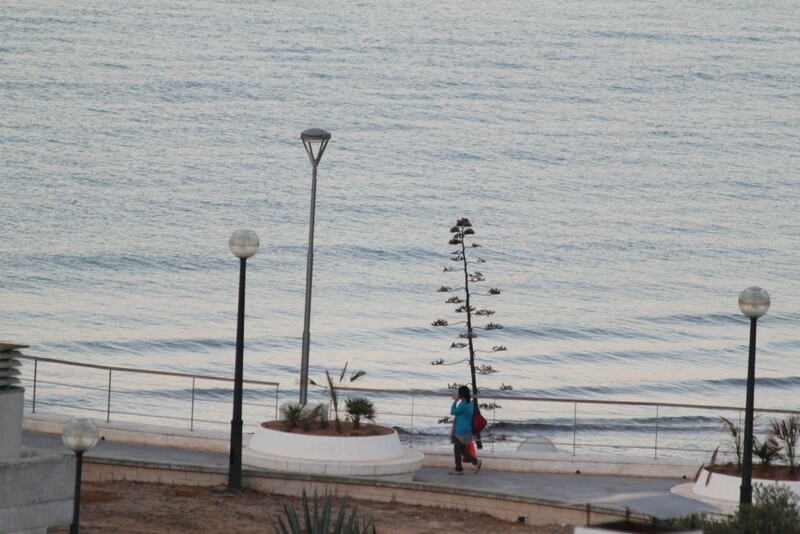 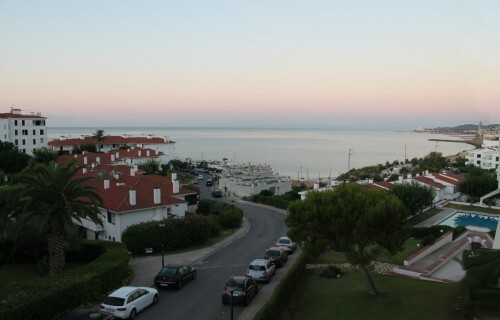 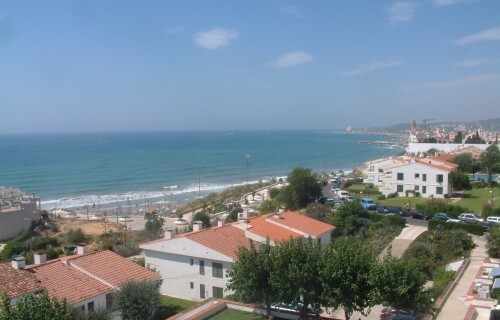 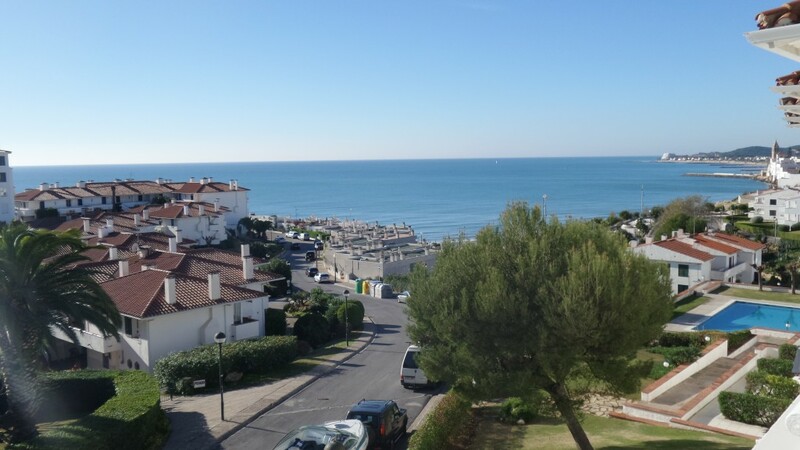 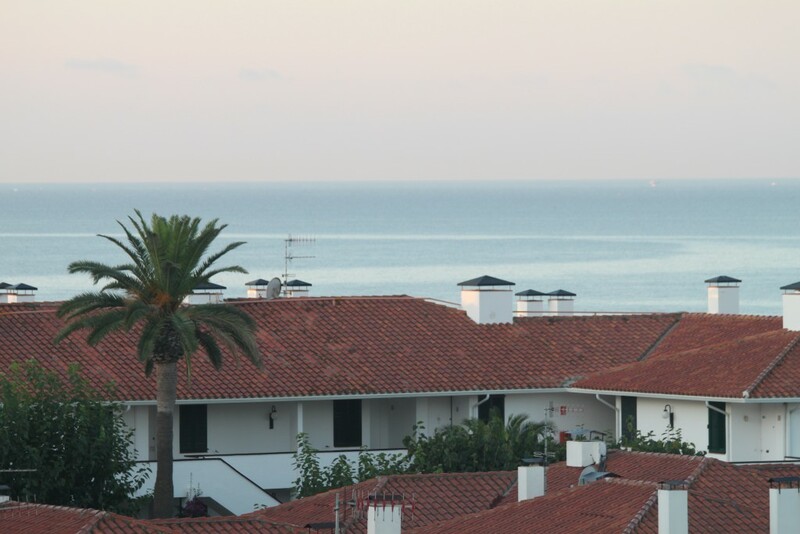 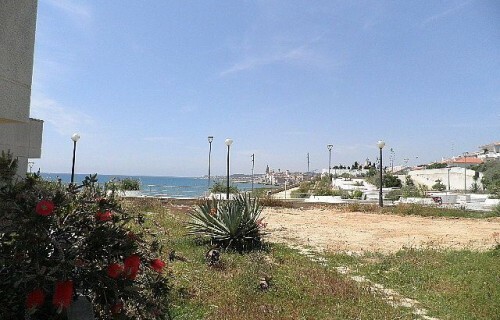 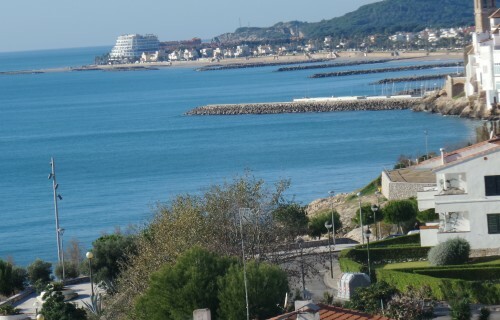 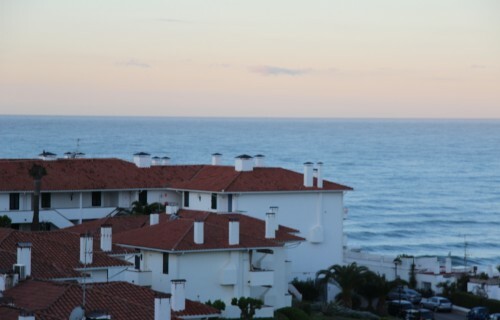 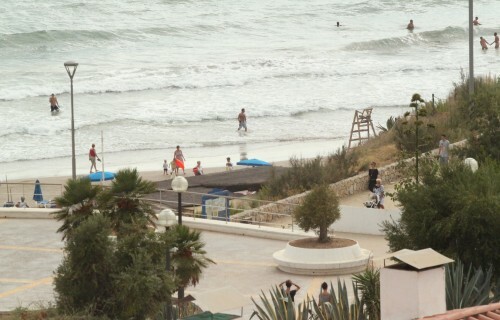 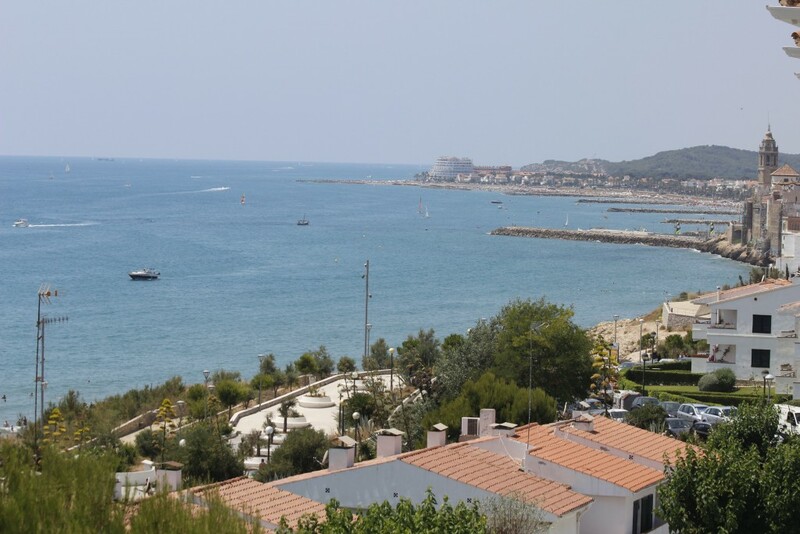 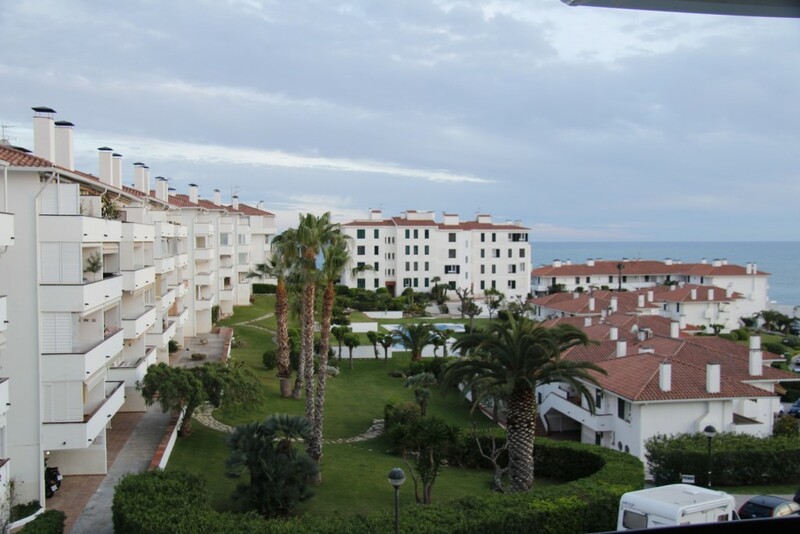 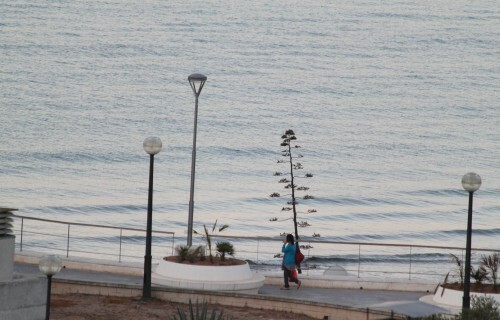 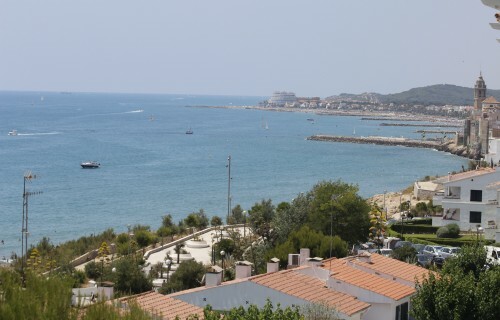 Front line apartments can have amazing view across the bay, over Balmins beach, towards the church and Sitges Bay. 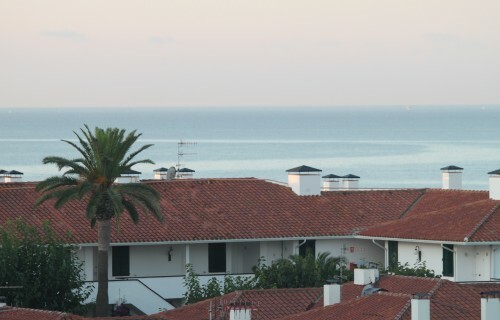 Whilst overs look out to sea from ‘Carrer de Ramón Planes’. 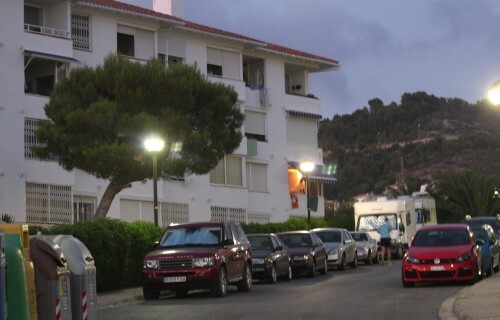 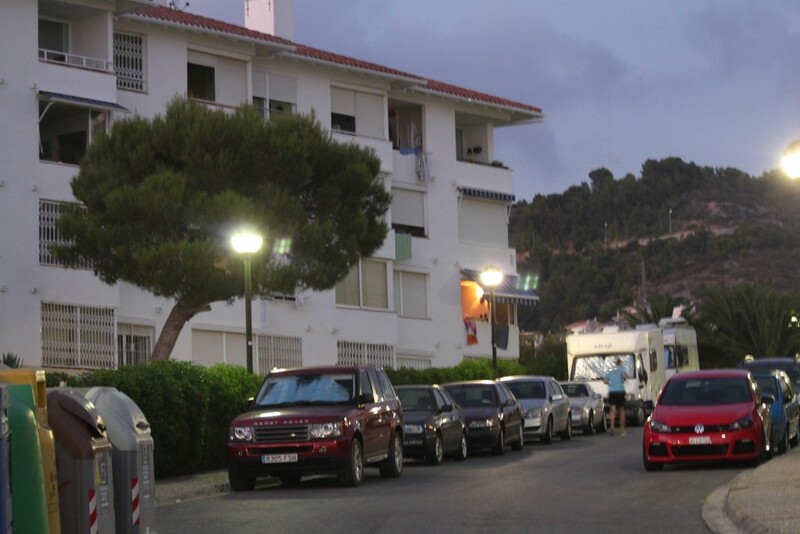 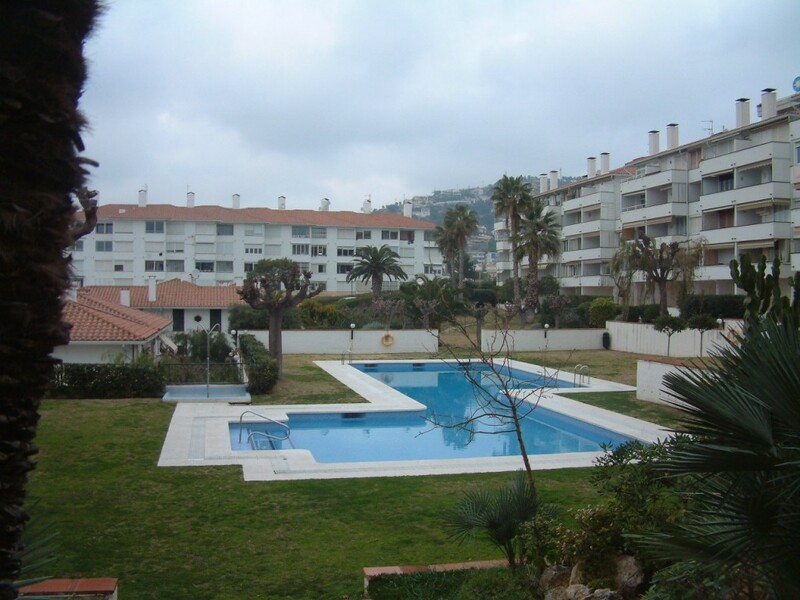 Where there are various apartments and a selection of houses (Villas) with front gardens, at the cemetery end. 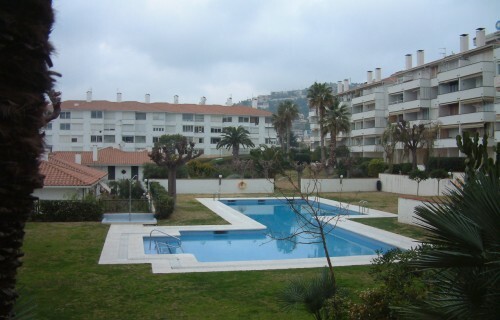 One row back, across gardens and swimming pools and sizable apartment blocks back onto the train line. 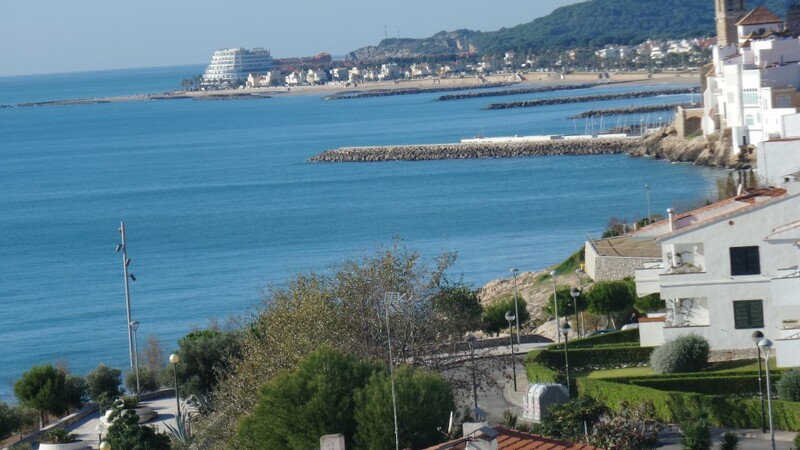 With noise of passing trains, even though the trains are in a culvert, out of sight.